Cetis d.d. Izdelava spletnih aplikacij, portalov in trgovin Cetis d.d. Are you looking for quality solutions and a reliable partner? Our biometric passports are among the most protected ones in the world. Sleeves - grab maximum attention with top to bottom product decoration. Choose among a variety of self-adhesive and non self-adhesive labels on foil and paper to tell the story of your product. 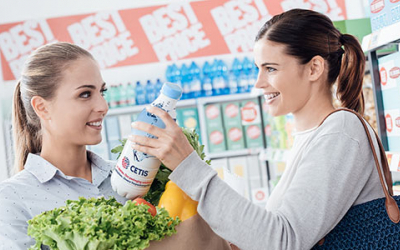 Close cooperation between the customer and the CETIS team can result in development of a unique feature which leads to a distinguished product. A small but special feature can make a big difference in product recognition. Nowadays consumers want to know a lot about the product they buy; often much more than you can put on an average label. In this case, multi-layer labels are a great solution because they enable you to include additional information about your product. If your product is sold in different countries, you can also use a multi-layer label for different languages. Marketing and legal purposes are just some of the reasons why multi-layer labels are getting more and more popular. Customers of premium products expect premium packaging that supports the brand story and increases the product value. An exclusive label look can be achieved by using special materials and also by using special effects (such as cold or hot foil or relief varnish). Premium labels should be resistant to temperature changes, scratching and water (in particular when served on ice) but also easy to wash off when used as returnable glass bottles. 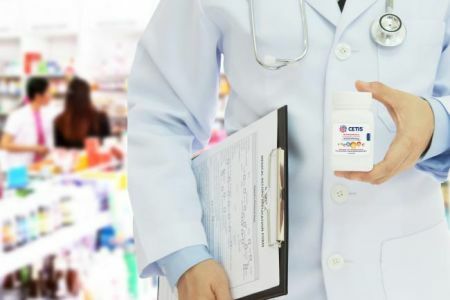 OTC pharmaceuticals need attractive packaging that will stand out in pharmacies and grab the attention of customers, thereby persuading them to make the purchase. The label material and glue (easy to peel off or permanent) used on different packaging solutions such as bottles or boxes are adjusted to the specifics of the pharmaceutical industry. Non self-adhesive labels can be paper, cardboard or wrapping, you can choose from a variety of paper (normal or metallised paper of different weights, security paper etc.). Labels can also be printed with UV fluorescent colours that glow under UV light. This solution will definitely catch the attention of customers who use your product in locations with UV light (such as nightclubs). 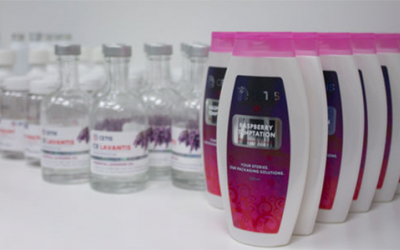 Sensitive packaging applications such as those for pharmaceuticals, personal care and food require the use of low migration colours, whose chemicals will not migrate, or move, from the packaging into the product. They should not affect the safety, appearance, flavour, odour, or taste of the product contained within the packaging. An increasing number of regulations, especially in the pharmaceutical and food industries, are setting high standards related to migration of chemicals into the products. Only glass and some types of metal packaging are a safe barrier. Many other packaging materials, such as plastics, need additional protection. Phe special material makes it possible to peel off part of an attached sticky label and re-attach it somewhere else. For example: it provides accurate information regarding a patient’s treatment so that any information regarding the drug taken by the patient may also be attached as a label on the patient’s medical records. The label can have several (security) die cuts. 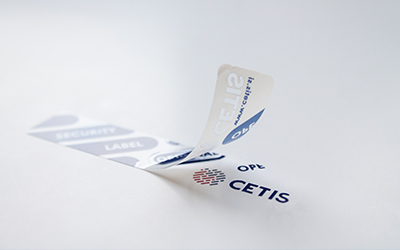 Protection, originality and/or traceability of products can be assured by security labels which cannot be removed without damage and without leaving a trace on the surface. Additionally electronic data reading, RF or RFID can be enabled - a feature which is particularly useful in logistics. 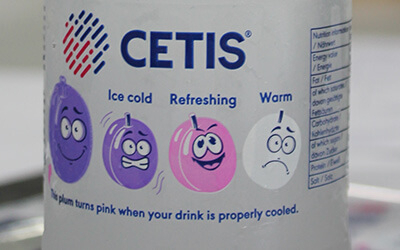 The CETIS patented temperature indicator is a simple indicator that activates colouring (the change is irreversible) and thus indicates whether a given pre-set temperature has been reached or exceeded. Change occurs at a predetermined activation temperature specified by the customer. The selection of the activation temperature depends upon the intended application. The special feature of the indicator is its manufacture combined with printing technology, high stability and a clearly identifiable colour change. It is especially useful for products, where temperature is a vital factor affecting the safety and/or quality of the final products (also in production), a visible temperature change can also be included in the graphic solution which also makes it an interesting marketing communication tool. Thermal paper is a special fine paper with a coating that changes colour when exposed to heat. It is used in thermal printers and particularly in inexpensive or lightweight devices such as portable printers, cash registers, and credit card terminals (for example: for entry tickets ...). Direct thermal papers are safe to use and do not pose a risk to human health or to the environment. They guarantee excellent print image even with the fastest thermal printers. How can we help you with your challenges? Trust our experienced professionals to handle them. CETIS d.d. is one of the leading European companies in the field of products and services, related to printing. 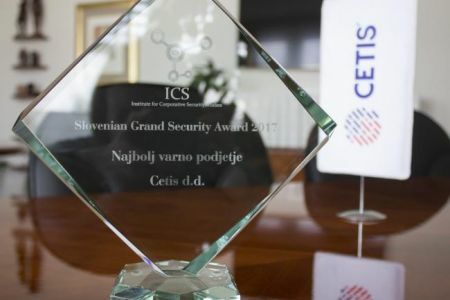 In the field of security and commercial printing solutions together with the most advanced complementary services CETIS is a reliable strategic partner for companies and governments on four continents. The know-how of CETIS experts in the field of graphics is based on over 200 years of experience.